Ms. McKenney rejoins Spaulding Youth Center after her departure in 2005 to accept a position as Student Support Center Coordinator at Newfound Regional High school, where she worked with all students, some with behavioral challenges, and others with special needs and disabilities. In this role, she helped students develop social skills, anger management techniques, coping mechanisms and set behavioral plans. Prior to her role in Newfound, she worked for Spaulding Youth Center for 23 years. She began her journey at Spaulding as a student aide before she was promoted to a residential teacher. During her time at Spaulding Youth Center, Ms. McKenney earned a bachelor’s degree in General Studies with a minor in Education from Franklin Pierce University. Following her teaching role, Ms. McKenney was promoted to Residential Coordinator. 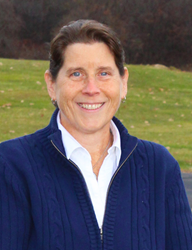 In addition to her bachelor’s degree, Ms. McKenney also holds a master’s degree in Education from Plymouth State University. She is also a Certified Anger Management Professional. Spaulding Youth Center is a leading provider of services for children and youth with neurological, emotional, behavioral, learning and/or developmental challenges, including Autism Spectrum Disorder. Services include academic, behavioral health, residential, foster care, health and wellness and family support. Spaulding Youth Center is a tax-exempt 501 (c)(3) nonprofit. For information about Spaulding Youth Center, visit http://www.spauldingyouthcenter.org.